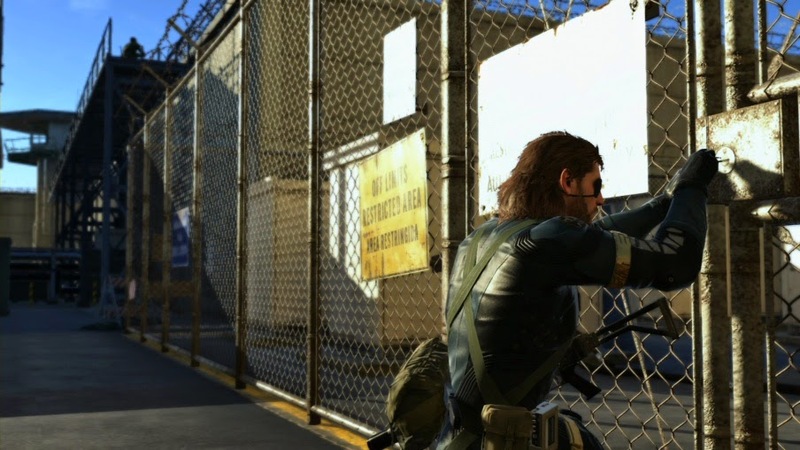 There's been a lot of talk about Ground Zeroes over the last few months, from the controversial content present all the way to the length of the game itself. So is it truly just a glorified demo, or an actual game in its own right? Ground Zeroes take place in 1975, just a short while after the end of Peace Walker. You play as Big Boss who has been sent to infiltrate Camp Omega to either extract Chico and Paz or confirm that they're already dead. Meanwhile Mother Base (Big Boss' private military HQ) is under inspection from the UN in order to show that MSF is a non-nuclear private military. While the story section is fairly short, I'm enjoying getting back into Big Boss' narrative. It also focuses on some mature topics which mean it can be a bit graphic in nature. There is also collectable cassette tapes scattered around the base which give even further backstory should you choose to find them. As well as the main mission, there are also a number of side missions that you can take on once you've beaten the main op, these missions include destroying anti air emplacements, eliminating two high level soldiers, meeting up with an undercover agent and a special mission that is different depending on which system you get the game on. I played the Xbox One version so I had the Jamais Vu mission which has you play as Raiden from Metal Gear Rising: Revengence and you are tasked with eliminating Body Snatchers. If you play the Sony version, you get the Deja Vu mission which recreates parts of Shadow Moses from the first Metal Gear Solid game from the PS1 era in Camp Omega. Geez, what happened to you? The gameplay in Ground Zeroes is vastly different from previous Metal Gear titles, now that we’ve switched to a full open world there's no travelling through small areas that lead into one another like in the older games. Upon starting the game, you're immediately told that you should use your binoculars to scout out the area, using these you can also mark targets which appear to you all times, even through walls! Sometimes you'll find yourself walking around and you'll be spotted by a guard, but when this happens, the gameplay slows down to give you more time to react, so you can swing the camera round to see where the danger is and react accordingly. A lot of the old functionality from older games are gone, there's no longer a codec, infinite weapons in your backpack, long cutscenes, cardboard boxes, hundreds of gadgets, loading screens etc, but while this may or may not sound like a bad thing, it really does help to streamline the gameplay and with the new control scheme, it plays a lot better than older games in the series. You can only carry two main weapons and a single side arm now which may sound limiting, but it really gets you to play the game as it's intended to be… pure stealth. Big Boss now moves a lot more stealthily with the ability to crouch walk to stay hidden in shadows and stay undetected, but when it's required you can also sprint around, a first in the Metal Gear series. 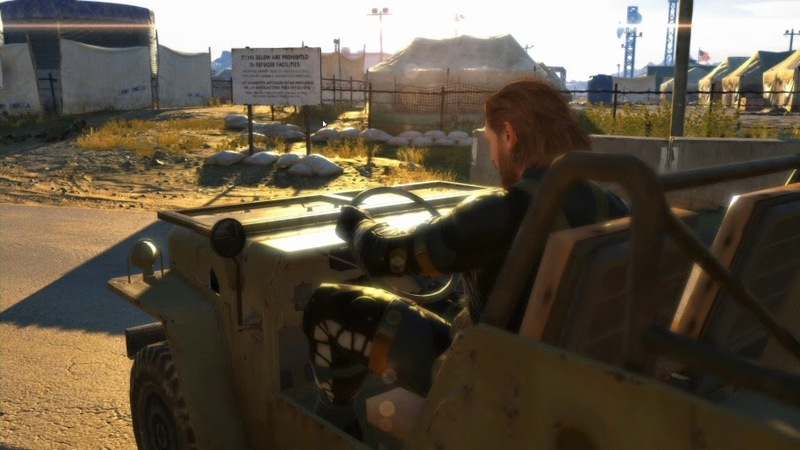 As well as all of Big Boss' on foot actions, you can also jump into vehicles and drive around. While the base in the game isn't that huge, it's big enough to warrant grabbing a jeep or a tank and going for a joy ride if you’re get tired of tip-toeing. You can also call in a helicopter to extract prisoners or unconscious soldiers at certain points on the map, this is part of your main objective in the main ops as the Fulton Recovery system from Peace Walker isn't available in Ground Zeroes. 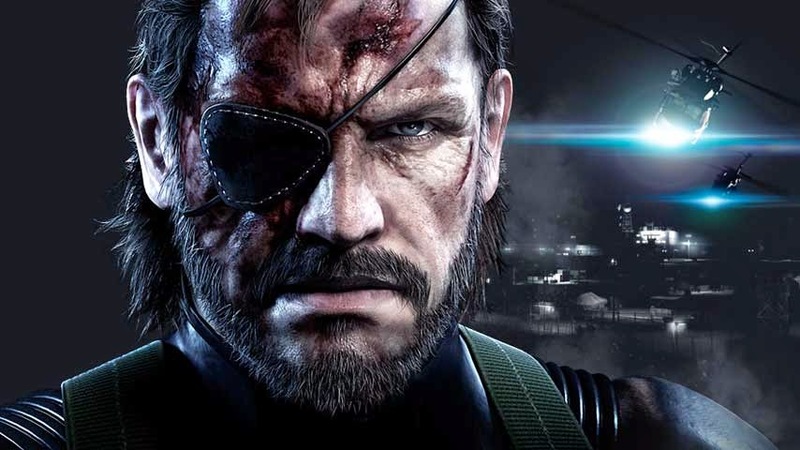 Enemies also seem to be smarter than previous games, acting as a unit to try to take you down if you get spotted, flanking you if you stick in one place too long or calling in reinforcements when required and will fully scout an area out in the pursuit of Big Boss, if he does manage to vanish. Saying that though, they are quite easy to outrun and they do have a tendency to forget they're looking for you if you hide inside an armoury. While the Phantom Pain has already been stated to have a full day/night cycle as well as dynamic weather conditions, Ground Zeroes has different conditions depending on the mission you take on, this serves more as a sample as to what you will encounter in the Phantom Pain. Playing at night has a different feel to when you play in daylight, while you can't really hide in shadows, they certainly help to sit in, reducing the risk of being spotted. As for sounds, the majority are crisp and clear, and the signature alert sound is still present. With the codec gone there's no longer lengthy periods of you having to listen to dialogue all while looking at a couple of photos. Now you can have Kaz Miller talk directly to you via an earpiece which has context appropriate conversation tied to it meaning if you're looking directly at a guard and press the radio button, Kaz will tell you about the guards, point your binoculars at a supply room and he'll give you information on that. It really helps to keep the game flowing rather than having to stop for a few minutes every time you want to find out about something. Sneakin' makes me feel good! One other thing is cassette tapes, they can be found scattered around the base and will offer backstory as well as some musical selections. These musical tapes can be set to your helicopter extraction music, so when your chopper swoops into action, you can have it turn up to Ride of the Valkyries or the intro music to Metal Gear Rising or the Ground Zeroes theme. Depending on your system of choice you can even import your own music into the game to have it turn up to anything really! One final mention regarding the sound aspect of Ground Zeroes is having Kiefer Sutherland doing the voice of Big Boss which for me personally sounded really odd. As a fan of the older games having David Hayter's voice replaced is jarring at first but eventually you get used to it. To be fair Kiefer only has a few lines anyways so you barely hear his voice at all. I'm hoping that Solid Snake will be in the Phantom Pain at some point and hopefully David Hayter will make a comeback because his voice is part of what makes Snake such an enduring character. While it's true it may be a short running experience, it will definitely last you a lot longer than the 10 minutes some speed runners will have you believe. Metal Gear Solid is one of the finest crafted game series I've played and Ground Zeroes is no exception, and I for one can't wait for the Phantom Pain, I'm just hoping that the larger map of Phantom Pain is not like a lot of other open world games where it's just a vast area of nothing to separate sporadically placed areas of interest. I highly recommend that you try it out for yourself.